Van Dam was founded in 1962 by Mr. Albert van Dam. 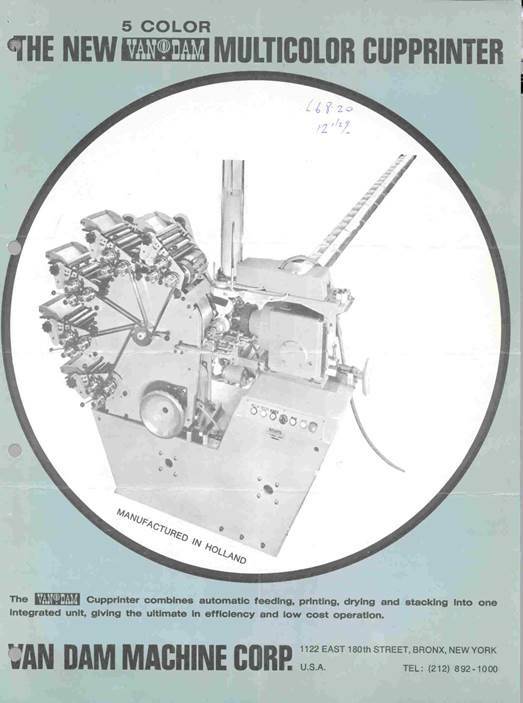 The company was named Van Dam Corporation and was originally a manufacturer of machines for the printing of balloons. Soon after the foundation of the company, Mr. van Dam discovered the great opportunities for selling machines to print plastic cups. Because of his Dutch origins, he decided to set up a factory in Amsterdam (NL) in 1964. 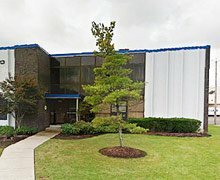 Today, Van Dam is a 100% privately owned company. 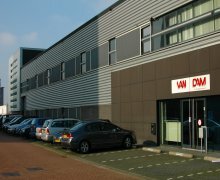 From the 70s of the last century until today Van Dam is well known for our flexibility and commitment to develop new technologies to improve the business position of our customers. 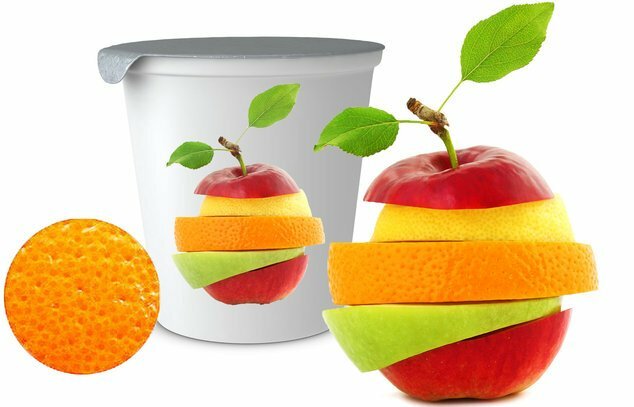 Some of the milestones in the printing history are: printing on mandrel, rectangular cup printing, high speed machines (>400 ppm), and the recently developed In-Direct Flexo (IDF) technology. 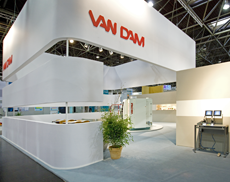 Van Dam will continue the growth and maintain their position as innovative company.